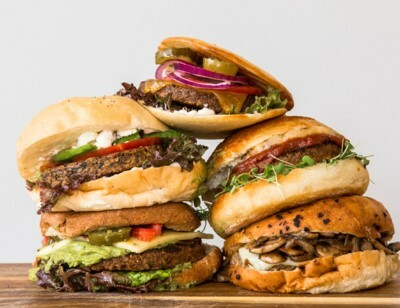 If you know Amy’s, then you know that we’re committed to making high-quality, delicious food with integrity—and it all starts with our ingredients. 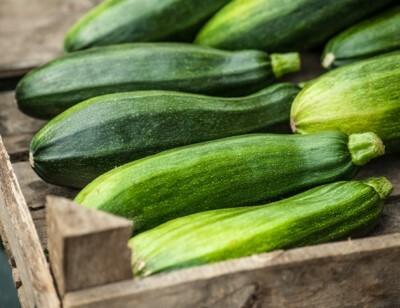 With a commitment to sustainable farming and environmentally-conscious business practices, our primary organic zucchini supplier exemplifies these qualities and more, making it one of the businesses we’re proud to call a partner. We go way back with this supplier. For nearly 20 years, this second-generation, family-owned California farm has grown and harvested the organic zucchini and summer squash that go into dozens of Amy’s products. We first started working with them as a co-processor. As we grew, the farm grew with us. During that time, we encouraged them to expand their crops of organic vegetables and eventually inspired them to transition much of their conventional growing land to organic ground. Like us, they made a commitment to sustainable, earth-friendly growing practices from the start. Our partner’s farm, which spans over 6,000 acres, is only a couple of miles from its processing plant, cutting down on transportation time and wasted resources. To reduce waste, they have a sustainable wastewater program—all plant wastewater is treated and used for crop irrigation. After treatment, this wastewater is sent to a retention pond, which also provides a lovely habitat for migrating birds and waterfowl in the middle of an otherwise arid landscape. On the business side, an 11-acre, state-of-the-art solar array helps power the farm’s processing plant and equipment, reducing energy costs and its overall environmental footprint. And within the processing plant, all of the company’s lighting is considered high efficiency while high-speed, roll-up zone separation doors help minimize refrigeration needs. Mild-tasting and extremely versatile, zucchini is one of our favorite ingredients as we head into summer, so much so that we’ve incorporated it into a number of our recipes—72, to be exact. Every year, we source over 700,000 pounds of organic green zucchini from our partner to use in some of our favorite products, including Amy’s Cheese Enchilada, Vegetable Lasagna, Rustic Italian Vegetable Soup and Roasted Vegetable Tamale, among others. 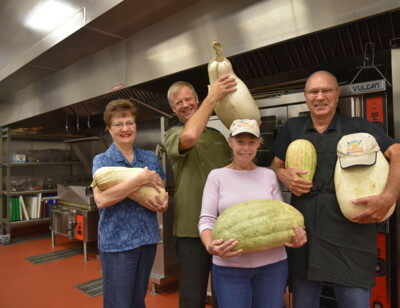 The farm also supplies us annually with 120,000 pounds of organic summer squash for our Thai Green Curry, Organic Vegetable Barley Soup and other tasty dishes. Luckily, our partner is able to grow and harvest these crops year-round, thanks to California’s fertile soil and temperate climate. This dependability is another reason why we are so happy to be working with this supplier. 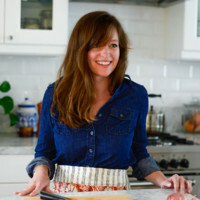 Renee Frojo is an award-winning journalist, photographer, food stylist and recipe developer based in the San Francisco Bay Area. With equal time spent in and around the kitchen, Renee’s writing focuses on food, restaurants, hospitality and sustainability. Her writing and photography have appeared in a number of local and international publications, including Eater, the San Francisco Chronicle and the San Francisco Business Times. What’s one of the best things about warm weather? Cookouts! Impress your guests at your next backyard bash, picnic in the park or poolside party with these nine recipe ideas. Just like in your home kitchen, sometimes the Amy's chefs have leftovers. 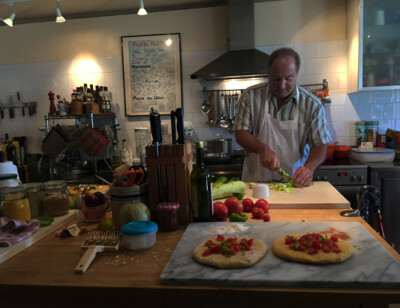 Redwood Empire Food Bank Chef Don Nolan transforms them into amazing things with minimal resources.